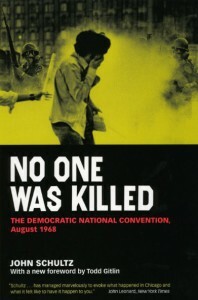 John Schultz, author of The Chicago Conspiracy Trial and No One Was Killed: The Democratic National Convention, August 1968, recently spoke with WMNF about the history of police militarization, in light of both recent events in Ferguson, Missouri, and the forty-sixth anniversary (this week) of the 1968 Democratic National Convention in Chicago. Providing historical and social context to the ongoing “debate over whether the nation’s police have become so militarized that they are no longer there to preserve and protect but have adopted an attitude of ‘us’ and ‘them,'” Schultz related his eyewitness accounts to that collision of 22,000 police and members of the National Guard with demonstrators in Chicago to the armed forces that swarmed around mostly peaceful protesters in Ferguson these past few weeks. The selection below, drawn in part from a larger excerpt from No One Was Killed, relays some of that primary account from what happened in Grant Park nearly half a century ago. The full excerpt can be accessed here. *** The cop bullhorn bellowed that anyone in the Park, including newsmen, were in violation of the law. Nobody moved. The newsmen did not believe that they were marked men; they thought it was just a way for the . 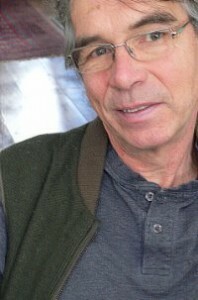 . .
University of Chicago Press author, professor emeritus at the University of Illinois at Chicago, dedicated Americanist, photographer, writer, cyclist, and musician Peter Bacon Hales (1950–2014) died earlier this week, near his home in upstate New York. Once a student of the photographers Garry Winogrand and Russell Lee, Hales obtained his MA and PhD from the University of Texas at Austin, and launched an academic career around American art and culture that saw him take on personal and collaborative topics as diverse as the history of urban photography, the Westward Expansion of the United States, the Manhattan Project, Levittown, contemporary art, and the geographical landscapes of our virtual and built worlds. He began teaching at UIC in 1980, and went on to become director of their American Studies Institute. His most recent book, Outside the Gates of Eden: The Dream of America from Hiroshima to Now, was published by the University of Chicago Press earlier this year. *** From Outside the Gates of Eden: “We live, then, second lives, and third, and fourth—protean lives, threatened by the lingering traces of our mistakes, but also amenable to self-invention and renewal. . . . The cultural landscape is hazy: it could be a desert or a . . . 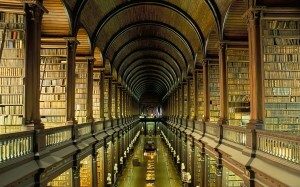 Recently, a spate of articles appeared surrounding the future of the university press. Many of these, of course, focused on the roles institutional library sales, e-books, and shifting concerns around tenure play in determining the strictures and limitations to be overcome as scholarly publishing moves forward in an increasingly digital age. Last week, Book Business published an profile on what goes on behind the scenes as discussions about these issues shape, abet, and occasionally undermine the relationships between the university press, its supporting institution, its constituents, and the consumers and scholars for whom it markets its books. Including commentary from directors at the University of North Carolina Press, the University of California Press, and Johns Hopkins University Press, the piece also included a conversation with our own director, Garrett Kiely: From Dan Eldridge’s “The State of the University Presses” at Book Business: Talk to University of Chicago Press director Garrett Kiely, who also sits on the board of the Association of American University Presses (AAUP), and he’ll tell you that many of the presses that are struggling today — financially or otherwise — are dealing with the same sort of headaches being suffered by their colleagues in the commercial world. And yet there is one . . . When you think about Wikipedia, you might not immediately envision it as a locus for a political theory of openness—and that might well be due to a cut-and-paste utopian haze that masks the site’s very real politicking around issues of shared decision-making, administrative organization, and the push for and against transparencies. In Wikipedia and the Politics of Openness, forthcoming this December, Nathaniel Tkacz cuts throw the glow and establishes how issues integral to the concept of “openness” play themselves out in the day-to-day reality of Wikipedia’s existence. Recently, critic Alan Liu, whose prescient scholarship on the relationship between our literary/historical and technological imaginations has shaped much of the humanities turn to new media, endorsed the book via Twitter: With that in mind, the book’s jacket copy furthers a frame for Tkacz’s argument: Few virtues are as celebrated in contemporary culture as openness. Rooted in software culture and carrying more than a whiff of Silicon Valley technical utopianism, openness—of decision-making, data, and organizational structure—is seen as the cure for many problems in politics and business. But what does openness mean, and what would a political theory of openness look like? With Wikipedia and the Politics of Openness, Nathaniel Tkacz uses Wikipedia, the most prominent product of open organization, to . . .
From Bernard E. Harcourt’s Against Prediction: Profiling, Policing, and Punishing in an Actuarial Age *** The ratchet contributes to an exaggerated general perception in the public imagination and among police officers of an association between being African American and being a criminal—between, in Dorothy Roberts’s words, “blackness and criminality.” As she explains, One of the main tests in American culture for distinguishing law-abiding from lawless people is their race. Many, if not most, Americans believe that Black people are “prone to violence” and make race-based assessments of the danger posed by strangers they encounter. The myth of Black criminality is part of a belief system deeply embedded in American culture that is premised on the superiority of whites and inferiority of Blacks. Stereotypes that originated in slavery are perpetuated today by the media and reinforced by the huge numbers of Blacks under criminal justice supervision. 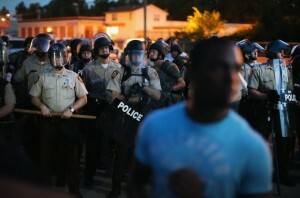 As Jody Armour puts it, “it is unrealistic to dispute the depressing conclusion that, for many Americans, crime has a black face.” Roberts discusses one extremely revealing symptom of the “black face” of crime, namely, the strong tendency of white victims and eyewitnesses to misidentify suspects in cross-racial situations. Studies show a disproportionate . . .
“Ebola and the ‘new’ epidemic” by Tom Koch Mindless but intelligent, viruses and bacteria want what we all want: to survive, evolve, and then, to procreate. That’s been their program since before there were humans. From the first influenza outbreak around 2500 BC to the current Ebola epidemic, we have created the conditions for microbial evolution, hosted their survival, and tried to live with the results. These are early days for the Ebola epidemic, which was for some years constrained to a few isolated African sites, but has now advanced from its natal place to several countries, with outbreaks elsewhere. Since the first days of influenza, this has always been the viral way. Born in a specific locale, the virus hitches itself to a traveler who brings it to a new and fertile field of humans. The “epidemic curve,” as it is called, starts slowly but then, as the virus spreads and travels, spreads and travels, the numbers mount. 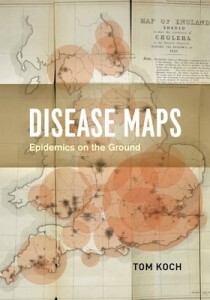 Hippocrates provided a fine description of an influenza pandemic in 500 BC, one that reached Greece from Asia. The Black Death that hastened the end of the Middle Ages traveled with Crusaders and local traders, infecting the then-known world. Cholera (with . . .
Carl Zimmer is one of our most recognizable—and acclaimed—popular science journalists. Not only have his long-standing New York Times column, “Matter,” and his National Geographic blog, The Loom, helped us to digest everything from the oxytocin in our bloodstream to the genetic roots of mental illness in humans and animals, they also have helped to circulate cutting-edge science and global biological concerns to broad audiences. 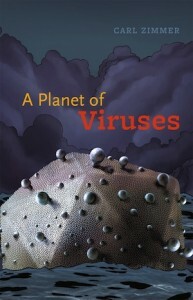 One of Zimmer’s areas of journalistic expertise is providing context for the latest research on virology, or, as the back cover of his book A Planet of Viruses explains: “How viruses hold sway over our lives and our biosphere, how viruses helped give rise to the first life-forms, how viruses are producing new diseases, how we can harness viruses for our own ends, and how viruses will continue to control our fate for years to come.” It shouldn’t come as any surprise, then, that with regard to recent predictions of an Ebolapocalypse Zimmer stands ready to help us interpret and qualify risk with regard to Ebola and the biotech industry’s push for experimental medications and treatments. At The Loom, Zimmer shows a strand of the ebola virus as an otherworldly cul-de-sac against a dappled pink light. As he writes, we still have no antiviral treatment for some . 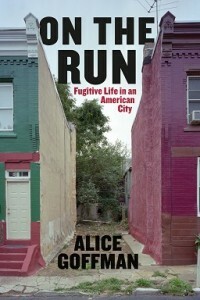 . .
From a profile of On the Run by Malcolm Gladwell in this week’s New Yorker: It was simply a fact of American life. He saw the pattern being repeated in New York City during the nineteen-seventies, as the city’s demographics changed. The Lupollos’ gambling operations in Harlem had been taken over by African-Americans. In Brooklyn, the family had been forced to enter into a franchise arrangement with blacks and Puerto Ricans, limiting themselves to providing capital and arranging for police protection. “Things here in Brooklyn aren’t good for us now,” Uncle Phil told Ianni. “We’re moving out, and they’re moving in. I guess it’s their turn now.” In the early seventies, Ianni recruited eight black and Puerto Rican ex-cons—all of whom had gone to prison for organized-crime activities—to be his field assistants, and they came back with a picture of organized crime in Harlem that looked a lot like what had been going on in Little Italy seventy years earlier, only with drugs, rather than bootleg alcohol, as the currency of innovation. The newcomers, he predicted, would climb the ladder to respectability just as their predecessors had done. “It was toward the end of the Lupollo study that I became convinced that organized . . .
Wayne C. Booth (1921–2005) was the George M. Pullman Distinguished Service Professor Emeritus in English Language and Literature at the University of Chicago, one of the most renowned literary critics of his generation, and an amateur cellist who came to music later in life. For the Love of It is a story not only of one intimate struggle between a man and his cello, but also of the larger conflict between a society obsessed with success and individuals who choose challenging hobbies that yield no payoff except the love of it. “Will be read with delight by every well-meaning amateur who has ever struggled.… Even general readers will come away with a valuable lesson for living: Never mind the outcome of a possibly vain pursuit; in the passion that is expended lies the glory.”—John von Rhein, Chicago Tribune“If, in truth, Booth is an amateur player now in his fifth decade of amateuring, he is certainly not an amateur thinker about music and culture. . . . Would that all of us who think and teach and care about music could be so practical and profound at the same time.”—Peter Kountz, New York Times Book Review “Wayne Booth, the prominent American literary critic, has written the only . . .